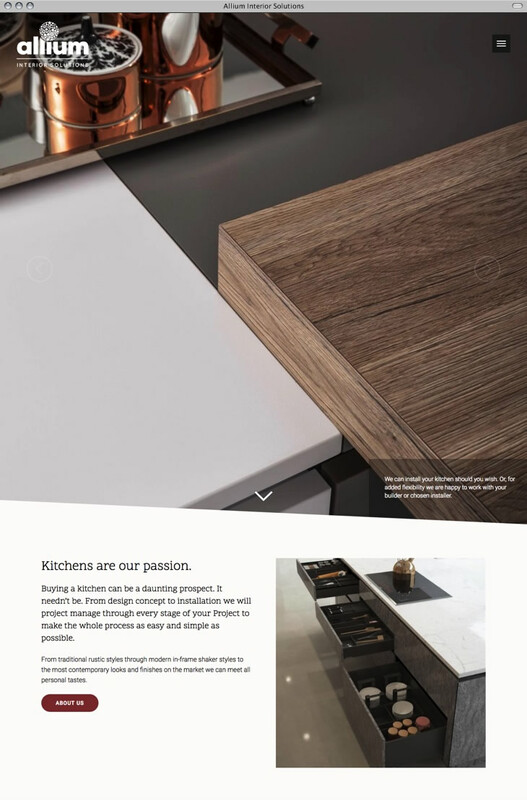 Website design and branding for luxury kitchen supplier, Allium Interior Solutions. 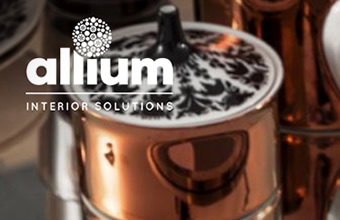 Allium Interior Solutions supply and fit bespoke designer kitchens and provide high-quality house renovation services. As a fairly new company, we were asked to design the logo as well as the website. 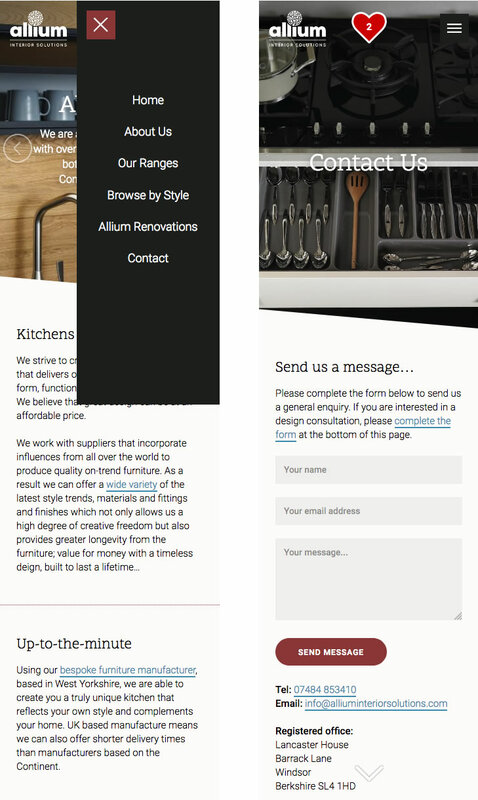 With a strong focus on the kitchen side of the business, we built a website that would be visually rich without getting too text-heavy. 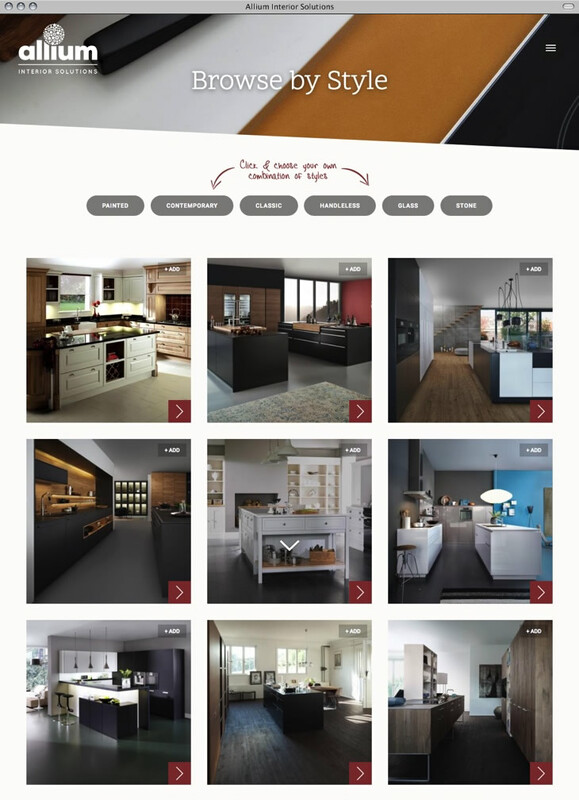 The kitchen options are presented in the form of galleries, split into different sections (by manufacturer) but we also build a separate section to allow users to browse by kitchen style, with a special feature to allow site users to add designs to a short list which is retained on their computer for future reference (using jQuery and localstorage).